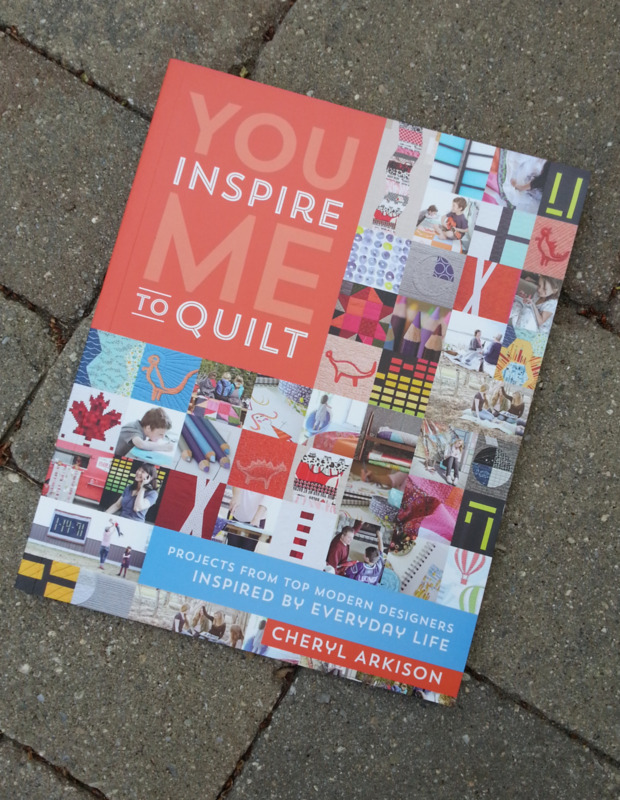 Cheryl Arkison's newest book, You Inspire Me to Quilt, was released this week. This book is a collection of quilts designed by 8 modern designers plus 2 quilts that Cheryl designed. 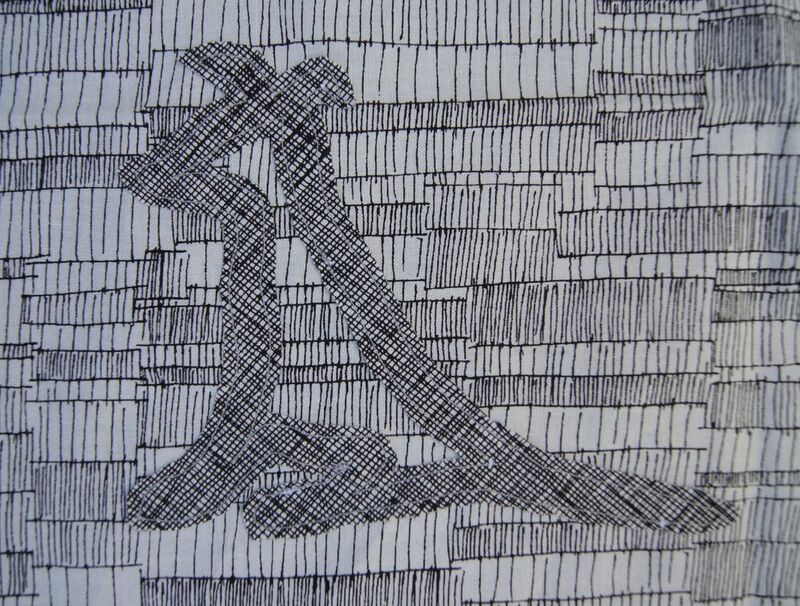 All the quilts are inspired by "Everyday Life." And they are! Cheryl has made a quilt of with the colored dancing bars seen on a music equalizer. My brother, who spent his teens and early 20s in recording booths, would love this one! Blair Stocker made a quilt of up-cycled ski parkas! And on the theme of cold weather sports, Andrea Harris designed a "Canadian Hockey Quilt". 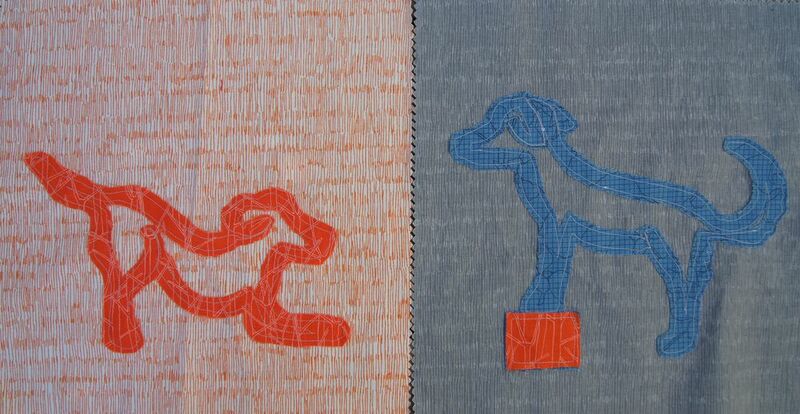 Cheryl's long-time collaborator, Amanda Jean Nyberg, has created a "Time Stamp Quilt" inspired by a digital clock radio. I think it would be cool re-interpreted as a baseball score board for a significant win for a kid's team, or maybe a World Series Win for a grown-up's home team. Those are just a few of the fun quilts in this book. 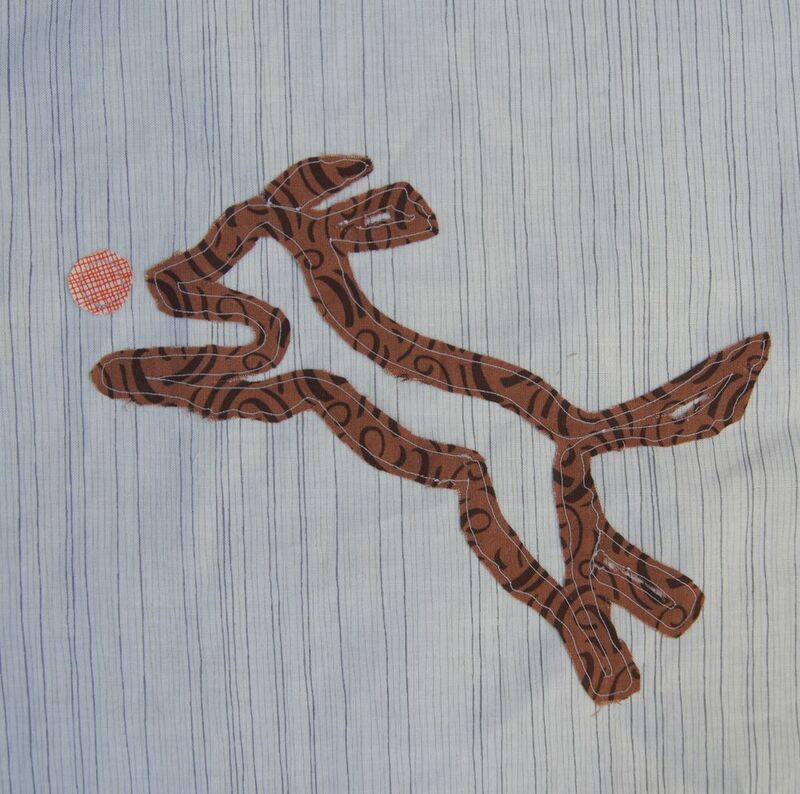 The quilt design that immediately inspired me make it my own, is a quilt called "Dino Patch" designed by Carolyn Friedlander, based on a conversation with her nephew. Her quilt has raw edge appliqué dinosaurs. You can see several of them on the book cover above. I looked at those dinosaurs and thought, "Dogs! Cats! Fish!" Critters that usually require serious paper piecing or mind-bogling appliqué. 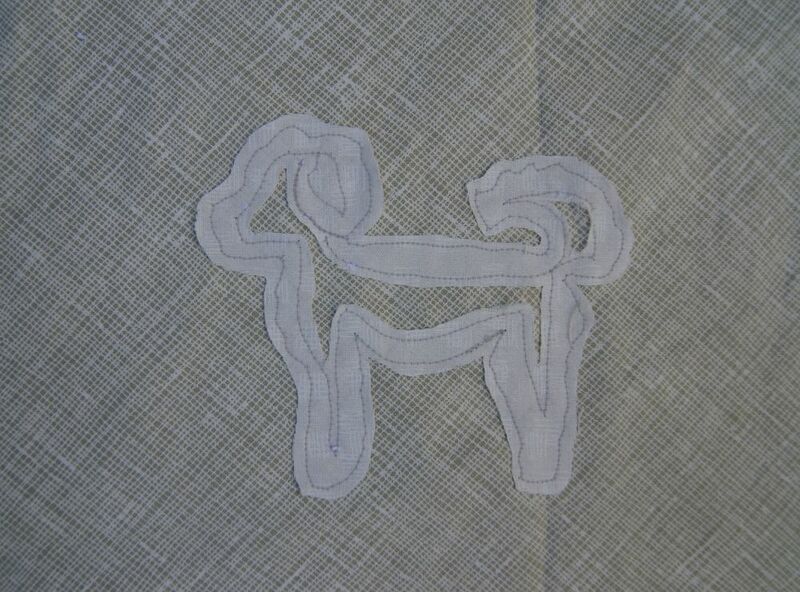 This gets the critter's shape and motion, and takes about 10 minutes to stitch out. I'm working on a quilt of Dog Pals. As the say, "Draw what you know!" Here are the blocks I've completed. The first dog is Jake, a Black German Shepherd. Then Maisie, a big red dog, and Hazel my black Lab mix, great pals from dog walking through Hounds About Town! There's Hagrid, the bichon from Canine Nosework class, Taffy my English Springer Spaniel, chasing a ball (of course!! ), and Magnolia, the best ever mystery-black-dog mix from Mississippi!! More dog blocks are in progress. When it's done, I'll post the finished quilt. Check out Cheryl Arkison's new book! There's even a BACON quilt pattern if you want one! Really! !